Cosmic Faery's Journal: Why Did He Leave Me? 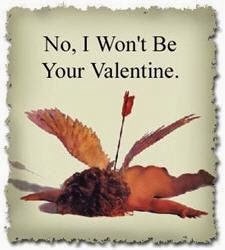 Valentine, Schmalentine.... today isn't a good day, if you've been dumped recently, left a volatile relationship for the sake of preserving your sanity, or you're just sad and lonely, because you haven't found "The One" yet. Fret not! You're not the only one, and tomorrow you can buy yourself a nice pack of Valentine chocolates at less than half price! Yay! If you've recently been dumped, you might be asking why, especially when the relationship seemed to be going well. Getting dumped out of the blue without any clear indication beforehand (you might have missed the warning signs in your romantic loved-up stupor though ;)) and little explanation, you might be looking for answers elsewhere. The Fool: This person wanted to have a new adventure. The Magician: This person was a player and enjoyed the chase. The High Priestess: This person had secrets and didn't want to be found out. The Empress: This person thought you were too good for him. The Emperor: This person felt uncomfortable with your independence. They needed someone to control, and you weren't the right match. The Hierophant: This person couldn't cope with your liberal and free-spirited lifestyle. Perhaps unlike you, they may also wanted marriage and children. The Lovers: This person met someone else. It was a tough choice, but you lost out. The Chariot: This person finds it hard to commit for various reasons. Could also be searching for the perfect love, and you, I'm afraid, are not the one. Strength: This person left because of inner demons and hang-ups they're constantly fighting. The Hermit: This person just wants to be alone. The Wheel of Fortune: Wrong place, bad timing. Changing circumstances and insecurities. No stability. Justice: This person found it hard to make personal adjustments in the relationship. Also, there may have been legal issues. The Hanged Man: This person needs to go away and think things through, but is unlikely to come back. May also have thought that the relationship wasn't going anywhere. Death: This person just doesn't love you any more. Dead as a Dodo. Temperance: This person found it hard to compromise and balance their needs with yours. The Devil: This person may have felt trapped or stifled in the relationship. It wasn't healthy for them. The Tower: Hot temper, a short fuse - this person just left on a whim, perhaps with the intention to hurt you. Beware - may come back and apologise, and is likely to do it again in the future. The Star: This person has outgrown the relationship on a spiritual level. The Moon: This person is ruled by insecurities, irrational fears and perhaps even paranoia. They wanted to leave, before they get hurt. 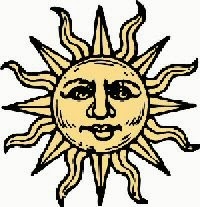 The Sun: This person wasn't happy with you for purely selfish reasons. Judgement: This person just focused on the negative in your relationship whilst not recognising what was going well. They want perfection, which they are unlikely to find. Ever. The World: Being in a committed relationship just isn't for this person. They love to be free and single without restrictions. The answers only give an indication and could also relate to you rather than the person who left you. Explore the interpretation of the card you have drawn and how it fits to your failed relationship. For more detailed insight and clarification, you can also draw two Minor Arcana cards. And then, put closure on what's happened, so you can move on to find a new and better love in the future. Whatever the reason why they left you, good riddance to them.You won't be heartbroken forever! Thank you so much for sharing this exercise on your blog! I'm thrilled to see that it worked well for you.